With support and persistence, you can climb higher than you'd ever imagined! Recently, we joined a rock climbing gym, and for Christmas, we enrolled Jonathan and Benjamin in rock climbing camp. It’s so much fun to watch them learn and master this new skill! My hubby and I also take the time to climb ourselves during the two hours of their class. As I watched them, along with learning this skill myself, it occurred to me that this sport offers a lot of good life lessons that can be applied to all areas of parenting and life. With support, you can reach new heights! If you get stuck, pause, breathe, hold on, and then continue to climb! Never give up. Keep climbing higher and higher. The more your practice, the better you’ll get. You’ll fall. Get used to it. When you have the proper systems in place (in this case a harness and someone to belay you), someone will be there to catch you when you fall. Sometimes you’ll get all tangled up and won’t know where to put your hands and feet (just like we get overwhelmed with the daily tasks of being a mom). It’s ok. You can just pause, regroup, and keep going. Sometimes you’ll feel like you’re barely hanging on. It’ll be OK. Success is sometimes just out of reach. Don’t be afraid to reach for it! Teamwork is essential. Climbing alone is dangerous. Parenting without the support, community, and love of others who have been there can be exhausting! After lots of epic fails and some successes, you’ll suddenly realize one day how high you’ve climbed and what seemed so daunting at first, now is doable, if not easy. When you reach the top, look down just for a second to see how far you’ve climbed! Mothering and parenthood isn’t easy. We’ll encounter many challenges and learn lots of life lessons along the way. I work with moms every day in my Epic Mom Mentorship, coaching them to realize their full potential as a mom. There will be people who say we can’t do it. Sometimes our own inner critic will be the loudest voice of discouragement. 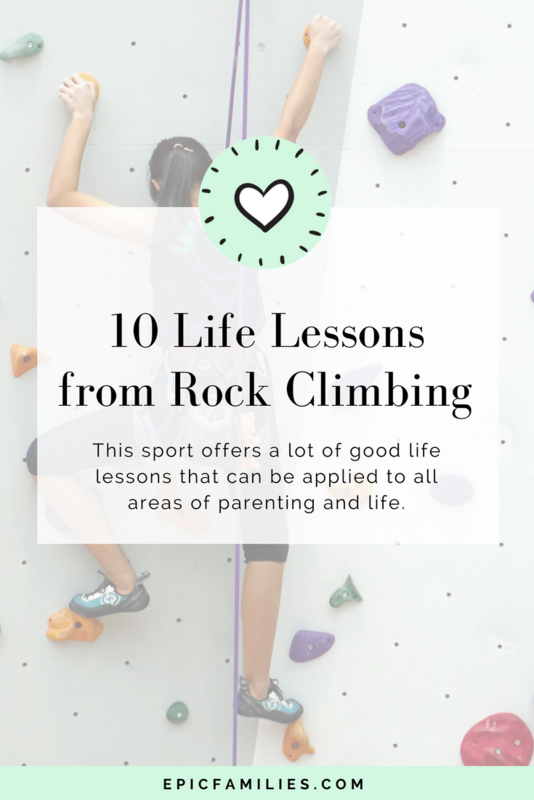 Just as with rock climbing, you’ll eventually make it to the top and the bumps along the way will just be learning experiences. One day, you’ll look back and see how far you’ve come and how far your kids have come. You’ll be stronger. You’ll feel accomplished. And you’ll be able to help others make that climb as well! Hi, I’m Beth. I help busy moms ditch the overwhelm and gain confidence, so they can enjoy parenting more, yell less, and have peaceful kids and a happy family. Ever wonder why you lose your cool when your kids talk back? Are you ready to make a change? Take the free quiz here. Dr. Beth Meltzer is a certified life and family coach who specializes in training moms to avoid overwhelm and yelling, and stop eating emotionally, so they feel great and have and have kids who listen and behave better more of the time. When she's not helping moms, you can find her hiking, kayaking, or adventuring with her grandkids or fur babies!